I hope you're having a fantastic Easter long weekend! 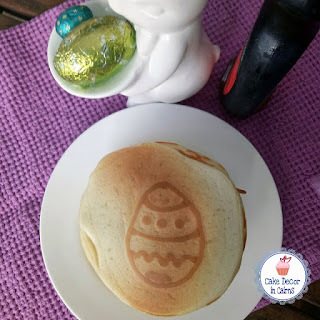 Thought I would quickly share with you my Easter pancakes. My kids (and husband) love these as a fun family Easter morning breakfast treat! Why not make some for breakfast or lunch this weekend?! 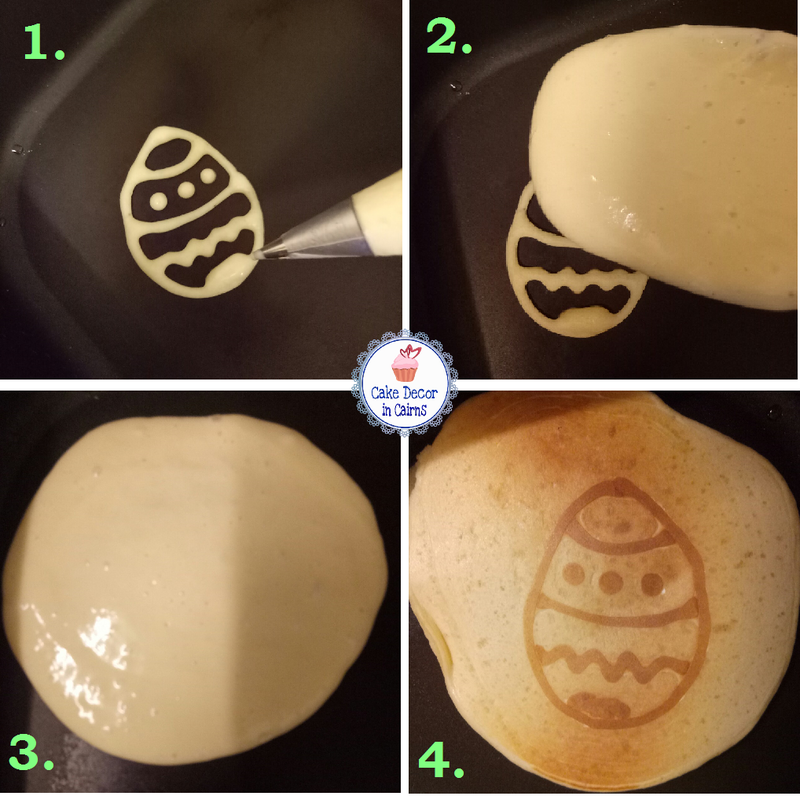 I have always wanted to try this out after seeing countless teddy bear faced pancakes in my various news feeds over the years (you have seen them too right?) Well this weekend I FINALLY tried it out. And as you can see it really does work! The trick is to put some of your pancake batter into a piping bag or a sauce bottle. I find the piping bag works best for me (phew another way to justify all my cake decorating equipment purchases to the hubby!) Then pipe your chosen design onto your low-medium heat greased pan. Let the design cook for a bit until you see the edges starting to brown. Grab a spoon and pour some batter over the top of your precooked cooked design. Cook and flip the pancake as you would normally do. Now, you can pretty much use any pancake batter. Premix, shake & pour, gluten free, Grandmas recipe... the options are endless really. Just in case you don't have one, or just want to try something different I have included my basic recipe below but be warned it's mostly made up in my head however I can assure you there are never any left overs! I use buttermilk because it makes my pancakes fluffier. This is my basic pancake recipe. I don't really have conversions or exact amounts as I usually just throw everything in together very liberally and just kind of wing it. I've done my best to quantify everything although you may need to tweak it to make it yours. Following the basic add liquid to dry rule, put flour and sugar into a mixing bowl. Use your prepared batter to make the Pancakes above. Thanks for sharing some pancakes with me! Questions? Let me know in the comments section below!